The Day of Atonement just ended a few short hours ago. We sat for most of the day in the synagogue; rabbis, students, young and old, plumbers and electricians, teachers and telephone repairmen, but we sat as fellow congregants. What mattered was not money or status but the relationships between us, each other, and God. And now we are back to the work routine. But just before the conclusion of this special day Rabbi Avichai spoke to us, he said the holy day ends and the work day resumes, but the message is to take the spirit of the holy day and bring it into your workday. The secular and the holy must merge into one. The rabbis teach us in the Talmud, Ethics of the Fathers, "Acquire for yourself a friend". (Chapter 1, section 6) But the Hebrew is more profound. The Hebrew uses the word Kne, which means to acquire, but it also means to purchase, to pay for. The word for a purchase is Kinyan, the word for Mall is Kanyon, etc. The message is profound. It means that you have to pay for a friend, you have to invest in a friend. But what does this mean? It does not mean you "buy" a friend. It means that you invest in a relationship, sometimes that means giving your time, and sometimes that means giving your money but it means that a relationship has a cost, and it is worth that cost. The Torah, the Talmud is a guide for how to live with others, a guide to community and relationships. It is about Justice, Compromise, Balance and the overall good of society. It is about Relationships. And relationships, in order to work require investment. All successful businessmen that I know belong to many professional associations, they travel to conferences and they network. For me the beginning of IKI came from my contacts at the Karate College seminars hosted by Dr. Jerry Beasley. I invested a great deal in those seminars, the international flight, the dorms, etc cost me at the time a full months' salary. That investment has been repaid a hundredfold as the Bible promised. Today one of our top instructors represents us as professor at this college. This is an investment that has proven itself. Cutting back on our memberships, our professional relationships, or our investment in ourselves is perhaps the greatest mistake we can make. This is contrary to Biblical and Talmudic wisdom. The passage I quote above continues, Yehushua ben Perahya and Nitai HaArbeli were the carriers of the Tradition in that generation. Yehoshua ben Perahya said, make for yourself a teacher (a rabbi), acquire a friend and judge everyman favorable, i.e. give him the benefit of the doubt. This brief paragraph, written about 2,000 years ago actually contains a great deal of business wisdom. I shall explain. Make for yourself a teacher/rabbi - No matter how advanced you may think you are, you still need guidance. You are still learning and developing, you still need a mentor to consult with. Today they call them business guru's and it is a huge business. Martial arts also have this coaching program. For your martial arts training and for your business, make for yourself a teacher, this is a worthwhile investment that will yield great results. Cutting this out of the budget will save you a few dollars at first but will harm your business in the long run. Listen to the ancient wisdom and think of the big picture. 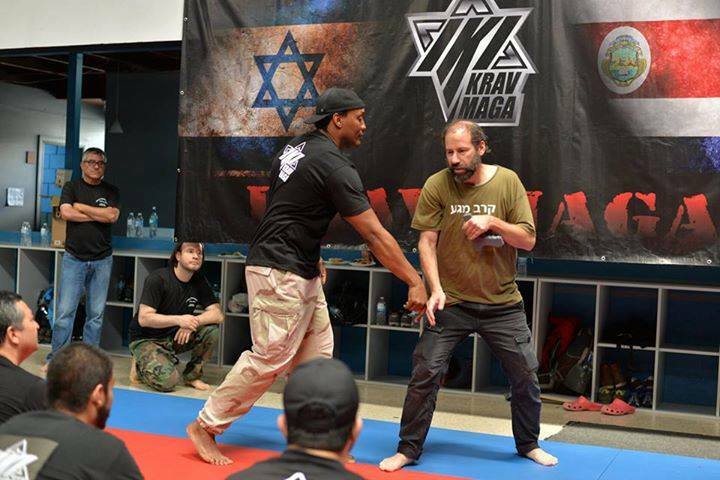 When I visited the USA I always made a point of visiting my martial arts teachers and rabbis, it was an investment of time and money and I cherish those moments. Most of those teachers have since passed on. I regret not having spent more time with them when I could have. Acquire a friend- This means invest in relationships. This means help your friends, invest in them, seek the greater good of the community and in the end you too will reap the rewards. Do not think that this is an "expense". Visiting a friend may well cost you time and money, perhaps a long drive or even a flight is required, but you are investing in yourself, and in your community. None of us can succeed alone unless you want to live out in the wilderness, hunt and fish and build your own home. Our success comes from our relationships. Financial success is the result of successful relationships, not the other way around. Judge everyman favorable, i.e. give him the benefit of the doubt. - None of us like to be judged and yet we are quick to judge others. Judging others without properly understanding their intentions can destroy relationships, and businesses. The best approach is to begin with "We can work out it", and "Good men with good intentions can resolve any conflict". If you want your relationships to succeed you must be willing to concede that perhaps you misjudged someone and you need to give them a chance to explain. Remove your ego for a moment, sit next to the man in the House of Prayer, and see his better qualities. At this point your own better qualities will also emerge. We sat in the synagogue, and asked God to judge us favorably, to be kind in his judgment and to give us yet another chance. Shouldn't we treat our fellow man the way we ask God to treat us? 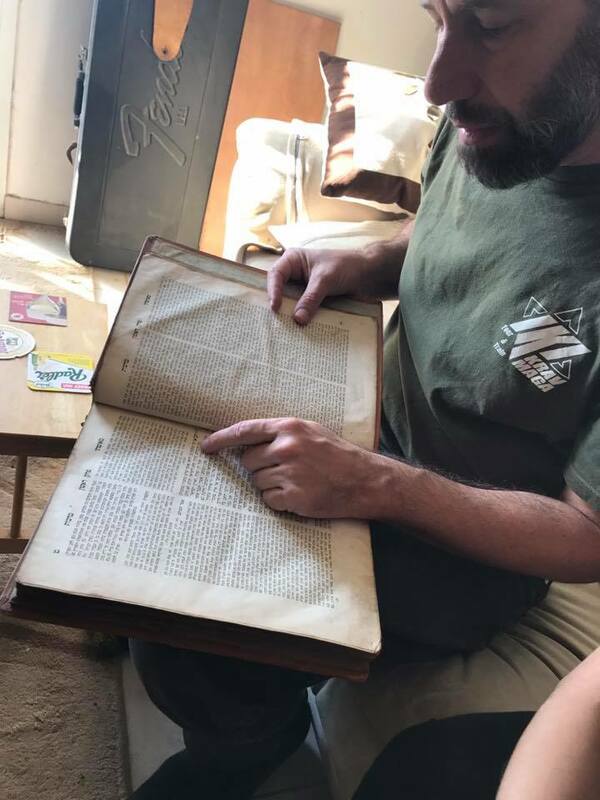 Moshe Katz studying a text inherited from his grandfather, Rabbi Isaac Klein of blessed memory. Moshe Katz teaching in Costa Rica. This e mail is free, includes occasional training tips, news about upcoming events all over the world. New instructors, new class. Instructors: You will be asked to contribute some Tips, and information about events that you want to promote in your area, Let's reach as many people as possible and grow together. Sign up below and state "e mail list"